Please note: We now stock slightly different cards to the ones pictured here, the basic idea is the same though, updated pictures coming soon. This fun pack of naked lady playing cards is a great way to add a hilarious twist to your stag night poker game. Although I'm not too sure how much poker will actually take place with all eyes on deck busy inspecting the quality of these fine ladies! The adult theme continues throughout the whole of the deck with 54 different models to choose from, you really will be spoilt for choice! 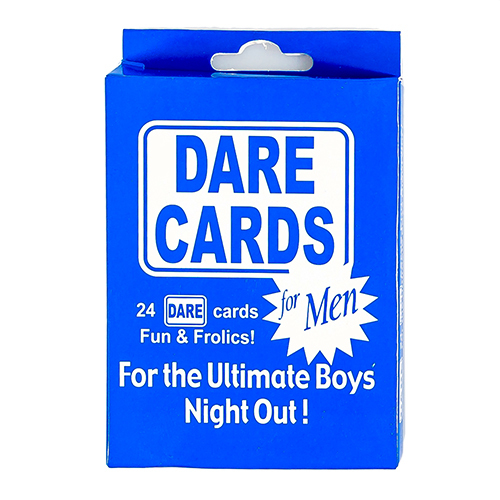 The novelty playing cards are a fantastic stag night accessory which will definitely put a spring in your step before heading out to party! You certainly won't need to use any part of your imagination with this bunch of 'shy' ladies which will give you a taste of more to come on your last night of freedom! A brilliant idea for any stag party which will definitely get the thumbs up from all the boys! "These cards were purchased for use in a play being staged by our local am-dram." "The product went down well, and was as described." "This was exactly what i was looking for (it's an xmas pressey!! ), Others that i found where quite outdated, e.g. 80's models, so this was ideal for two young lads posted out in Afghanistan." "Fun product, great for a laugh!" "These were a good giggle but you cannot use them in public for abovious reasons. Helped on the way down to the venue though." "Passed the time on the mini bus to our stag destination, some pretty hot ladies in the pack." "A classic - 6 of Clubs was a surprise though!" "They've gone to a friend in Afgan to cheer him up, so not opened them!!!" "Cards were great,went down a treat with the lads!"